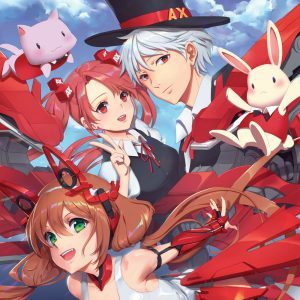 We’re excited to continue collaborating with members of the AX community with this year’s program guide cover featuring art by Meng Wang (LucidSky)! With the 2017 artwork showcasing a plethora of characters that encapsulated the size and scope of AX, we wanted this year’s art to convey the community aspect of AX and how it can bring people together. To do so, we asked Meng to create a piece that featured our five main mascot characters: Xeno, Ai, Kisegi, Mahoka, and MAX! While MAX was featured exclusively on our program guide art from 2012 to 2016, the other four characters (originally designed by Zelda Wang) were last seen on our program guide cover in 2011. The AX 2018 program guide cover art will be available as a poster, as well as incorporated into the 2018 t-shirt and pin. 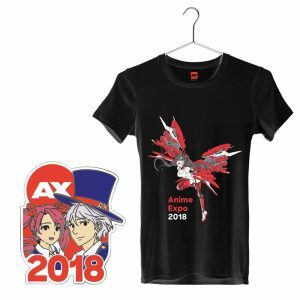 All AX official merchandise will be available at the AX Merch Store. The AX Merch Store located in both the South Hall and West Hall Lobby! Come to early badge pick up starting on July 3 and stop by the AX Merch Store located outside of West Hall in Gilbert Lindsay Plaza. When did you first participate in Artist Alley at AX? What do you love about AX? Meng Wang is a freelance artist who specializes in Japanese Anime styled 2D art. She was inspired at an early age by Manga and Anime which became strong influences in her artwork. Find Meng Wang/LucidSky in Artist Alley at table C01 / C02!